Anyone who is familiar with Ghana or West African hits understands that Sarkodie songs feature prominently among the best in the region. The talented artist is celebrated among the very best in Ghana and neighbouring countries. He is not only a great rapper but also an artist whose impact is felt among different generations. Sarkodie is known for hits that are family friendly. All his tunes are respectable and always pass a message that impact society. The following 10 trending tunes will show you who he really is, and what kind of music he focuses on. Whether you are listening to Sarkodie latest hits or are interested in a Sarkodie new song, one thing cuts across his music; they will always be relevant. He is an artist that is conscious about the message he is passing around, and what impact it may have on society. As such, there is a high probability that all his tunes will forever be evergreen as they will always match the societal needs at any particular time. Check out his songs to get a feel of this. When counting Sarkodie 2018 hits, this tune comes top among his best in that year. Having been published in August 2018, the tune has over 7 million YouTube views, showing how much impact it really has. He collaborated with King Promise, another brilliant upcoming artist to deliver this powerful banger. The video is perfect as it shows the story unfolding from how he loved the girl to how he put a ring on her finger, marrying her which is the right thing to do with the girl you love. This tune counts as one of Sarkodie latest songs that are worth downloading. If you want to see the master at his best rap game, then consider getting this tune that was released in December 2018. As one of Sarkodie tracks to be released in 2018, the artist was featured by Bisa Kdei in one of the best tunes you will ever listen to. You will be encouraged as you listen to this uplifting tune that will make you focus on your path no matter what challenges come your way. After all, every hardship you go through now is just a preparation for the great things yet to happen. This diss tune made it to Sarkodie songs 2018 that was celebrated by many of his fans. He talks about his focus being on making an impact and pushing others forward. What is interesting is that he is able to remain professional all through the rap. This tune by Sarkodie and many other artists talk about the reality of money. It is a commodity that everyone needs. The truth in the song is one many can identify with, which explains why the hit that was released in Dec 2018 already has over one million views on YouTube. 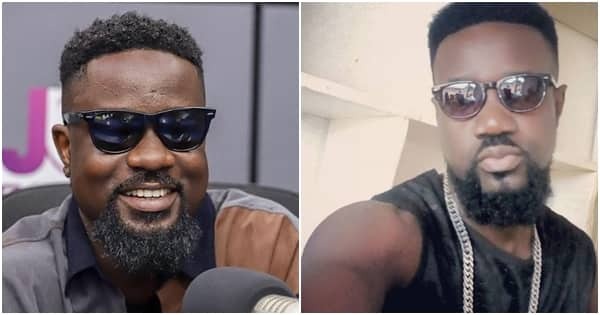 You may have heard of Sarkodie new track that impressed you, but you may not know is that the artist has been around for quite some time now. He has been growing over the years. Even so, some of his songs continue to trend even today. Check out some of his all-time favourites below. Even as far back as 7 years ago, this brilliant artist was releasing hot jams such as this one. The fact that the song is ever-green even today proves that real talent cannot be downplayed. This nice song will continue to trend even in years to come because of the element of excellence that comes with the artist. This 2012 hit about Sherifa features Sherifa Gunu in a powerful message about how she drives him crazy. If you are looking for a powerful love tune to dedicate to your girl, then this is it. Just replace Sherifa's name with hers, and you will make her smile all the way. If you were lucky enough to know Sark 6 years back, then you got introduced to his rap game that early. His perfection is something that has been nurtured over the years. You can be sure that Sarkodie is a seasoned artist that knows what he is doing. You will not be disappointed. Enjoy this declaration of love that makes a lot of sense even today. It is probably one of the tunes that made Sarkodie blow out in 2014. He features Castro in this family-friendly tune that has been accepted all over by people of all ages. It is not surprising that it has over 63 million views on YouTube. The catchphrase Alleluya will make you sing along as you dance to the very addictive tune. This 2017 hit featuring Runtown will make you appreciate the journey that this fantastic artist has gone through. The quality of sound and video is really impressive. With over 13 million views, we can all agree that the artist has done an impressive job over the years. If you are a fan, then any of Sarkodie songs will work for you no matter how old they are. The artist's brilliance can be felt in songs that are a few months old the same way as those that are 5 and above years old. These 10 examples will make you look out for more hits.